The woes and throes of finding Mr. Right. 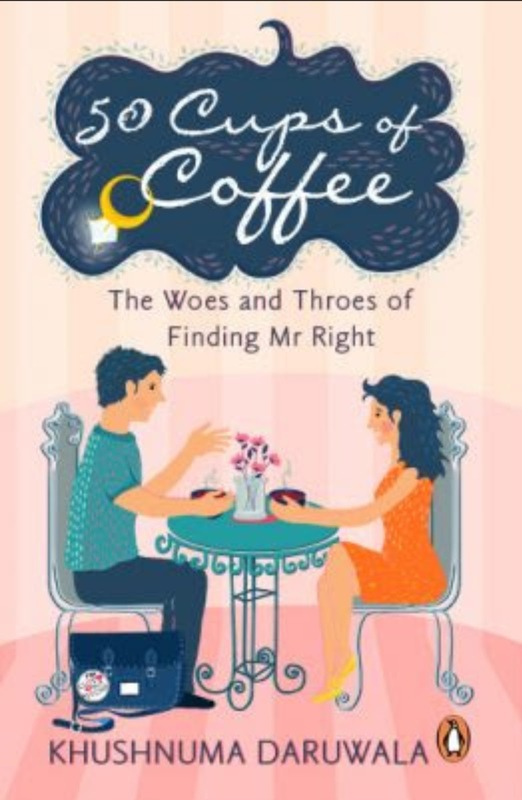 The book talks about how in real life arranged dating works and in India. Dating is an undeniably daunting task, especially when you are looking for the real deal to settle down with. When Dia, a 30-something woman, signs up on a dating website for people looking to get married, she realizes just how delightful, vexing, amusing and befuddling looking for the perfect husband can be. Based on her real-life experiences, this book is not a guide to dating, but rather a delightful collection of meeting potential partners, epiphanies about them and soul-searching questions that will make you see relationships without your rose-tinted glasses of love. For me there were there moments or you may say arguments put by the other when book truly took my heart away and them yeah any one can relate to easily and are so hilarious as well. One, when the Author said, "First, The indignity of searching of a man and secondly, on the internet. Obviously, the universe is getting some cheap, cheap thrills." It did remind me of Cheap Thrills by Sia and I immediately put that on my playlist. Two, when she said, "You could sue me in a feminist court for saying this, but more often than not, unless the man is really keen on having the relationship, it simply won't happen. ... The simple truth hasn't changed in a million years. Man no come out of cave = Man no like girl." Well, I totally agree. Its still a man's world no matter. A pity yet real deal we ain't able to ward off. There and I guess the one happening every single one is facing at their home, "Come good ole thirty five and its the reverse. 'Damn happiness, just get a man', seems to be the common refrain from all quarters." But why is what I fail to understand. Nonetheless, the book gives you some interesting anecdotes. Enjoy reading this 197 pages book by Khushnuma Daruwala and is worth INR 250. 3 / 5. Its good but gets little boring in between but is full of real life anecdotes.